The Dallas Mavericks blood drive is on December 30, and we’re shooting for 500 donations to help boost the blood supply as we head into the challenging month of January. All blood donors will receive a tour of the new Mavs practice facility – never before opened to the public; a pair of tickets to an upcoming game; and a custom t-shirt designed for the event which reads “Mavs Fans Bleed Blue,” not to mention a pair of Carter BloodCare socks. Dallas Greek organizations join Carter BloodCare to save local patients' lives: AT&T Stadium marks perfect place for blood donation event to raise Sickle Cell awareness. With the new year comes a new calendar, new resolutions and new hope for health. The year also starts off with National Blood Donor Month – celebrated since 1970 when President Richard Nixon declared it a time to honor the contributions of volunteer blood donors throughout the country. When marking the 2019 calendar for holidays, birthdays and special events, consider marking the calendar for blood donation, too. On Sunday, April 8, Robert Morris’s life was saved after he received several blood transfusions. The founding senior pastor of Gateway Church was at home recovering from a double hernia surgery when he began to feel lightheaded and passed out. His wife, Debbie, called paramedics who then rushed Morris to the hospital via medical helicopter. AT&T Stadium marked the perfect place for a blood donation event to raise awareness of the need for blood donation to help those afflicted with Sickle Cell disease. 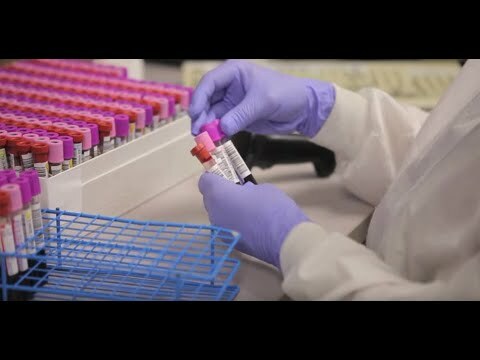 Carter BloodCare provides transfusions children and young adults in North, Central and East Texas children in need of blood to help combat the effects of Sickle Cell disease.